If you’re curious about the best times to book 2019 rafting trips for your vacation, it’s a good thing you’ve started to plan now. 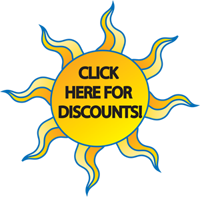 The most popular lodgings and tours can book early, and getting organized right away can help you avoid disappointment. The best times to book 2019 rafting trips depends in part on where you’re rafting. If you’re in Colorado, for example, you need to consider temperatures and water levels. If you’re rafting the Ocoee River, you’re in luck. Because it’s a dam-controlled river, the schedules and water levels are consistent on the Ocoee, which can make planning somewhat easier. There are advantages and disadvantages to traveling to the Ducktown and Chattanooga, Tennessee area at various times of the year. In part, it comes down to the type of experience you want to have. During the peak season of mid-June through August, more than 250,000 people visit the Ocoee River. 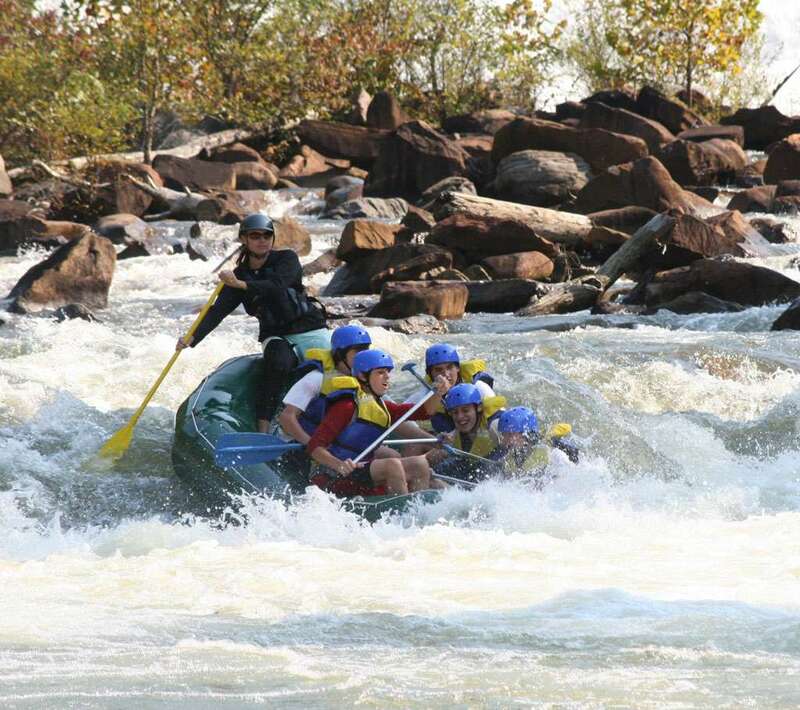 It’s the most popular and most-visited whitewater rafting river in the United States. While this 93-mile-long river is enough to accommodate lots of people, you can expect local areas to be more crowded and tours to be booked up. However, peak season can also be attractive. You may enjoy large groups, and many tours, packages and tourist amenities will be available to you. Some travelers even enjoy the fun atmosphere of lots of people on the river. June through August is also popular for a reason. This is the time when many people get vacation and when the weather is beautiful for rafting. Water temperatures reach the 70s, and you can enjoy summer days in the 80s and 90s. In addition, this time is when the river is open the most, so you can enjoy a full river experience. The times with the largest crowds occur during the middle of the day on Saturdays in July, August and September. During this time, you’ll be able to enjoy the full river, but you may have to wait for access, and you could have a harder time with parking and trip changes. You may also not be able to get as much personalized attention from tour operators. In addition, most tourist attractions in the area will be busy during this time of year, so whether you try going to a restaurant or want to hike or mountain bike, you’ll find crowds. If you do want to raft during the busy time of the year, at least consider weekdays, which will be less crowded. If you decide on a Saturday during the peak season, plan to show up earlier in the day, when crowds will be less daunting. Of course, give yourself extra time to find parking and wait for river access too. You have two options outside of peak season on the Ocoee. You can go during March, April and May, or you can go after the crowds leave in late September and October. In March and April, only Middle Ocoee runs are available, but you’ll be able to avoid the crowds. Some tour operators also offer special off-season rates or discounts, and you’ll generally have more choice when it comes to lodgings and tours simply because there are fewer people. During this time, the water temperature may be in the 50s, and the air temperatures range from the 50s to the 80s, so you’ll want to keep the weather in mind and come prepared. During the earlier part of the off-season, some tour operators may not be running, and some seasonal businesses may be closed or have only limited availability. Call ahead and check to see what will and will not be available. By May, water temperatures reach well into the 60s, and the weather starts looking better, with 90-degree days. At this time of year, more crowds begin to show up, especially later in the month. 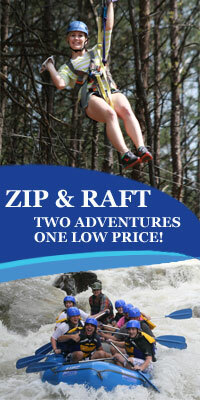 By the middle of the month, the Upper Ocoee opens, so you’ll have more rafting choices as well. However, you may not be able to avoid the crowds. Crowds on the Ocoee start to thin out in September, although in early September, the Saturday crowds can be even heavier than in August. During September, the river runs only on the weekends, and after mid-September, you can no longer book full-river or Upper Ocoee trips. For many, October is an ideal time to raft the Ocoee. The water temperature remains in the 70s, and the weather outside is still a mild 70 to 80 degrees. At the same time, you’ll see far less crowding, even on Saturdays. The biggest advantage is that October is one of the most beautiful times on the Ocoee River. You’ll get to see the leaves in all their autumn colors, which can create some stunning scenery and help you get amazing pictures. One of the drawbacks of going in October is that many tour operators and some local, seasonal businesses may be closed. In addition, the middle Ocoee is the only part of the river running, and that’s only on weekends. Nevertheless, if you want natural beauty and not too much busyness, this span of days can be a wonderful time to visit. Raft1 is one of the few operators still running, and you can always count on our professional guides as you plan your trip. In addition to crowds and tourism season, you’ll want to consider your own schedule and time to plan. No matter when peak season is, you may need to travel during a specific time of the year because of vacation days or your own availability. No matter when you travel, you can rely on Raft1 for a terrific experience. Finally, keep in mind that the Ocoee is a dam-controlled river, so water conditions will not change. Whether you’re an experienced rafter or new to it, the river’s multiple levels of difficulty won’t change, so you won’t face more challenging conditions based on season. In other words, you can choose the right difficulty level for you no matter when you go. Ready to plunge into adventure? Contact Raft1 today if you have any questions, or reserve your tour on the river.